“Dear Henry” appears in the current edition of The Southern Review, Summer 2018. 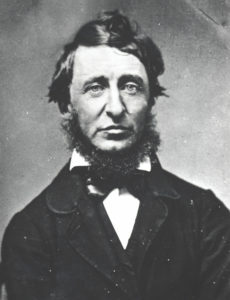 “Dear Henry”: Thoreau’s brother John died in his arms from tetanus. The loss threw him into a depression so deep that he developed all the symptoms of lock-jaw. The epigraph is from The Letters of Ralph Waldo Emerson. To begin to understand how Thoreau has been misunderstood, read this interview with Laura Dassow Walls, author of the latest biography of Thoreau. This entry was posted in Uncategorized on July 20, 2018 by Catherine Staples.